The new 707 km long Northern Latitudinal Passage will connect Russia's Ural and West Siberian region with the Northern Sea Route. A major Arctic infrastructure project takes a leap forward as Governor of the Russian Yamal-Nenets region Dmitry Kobylkin this week signed a deal with Russian Railways and its President Oleg Belozerov. 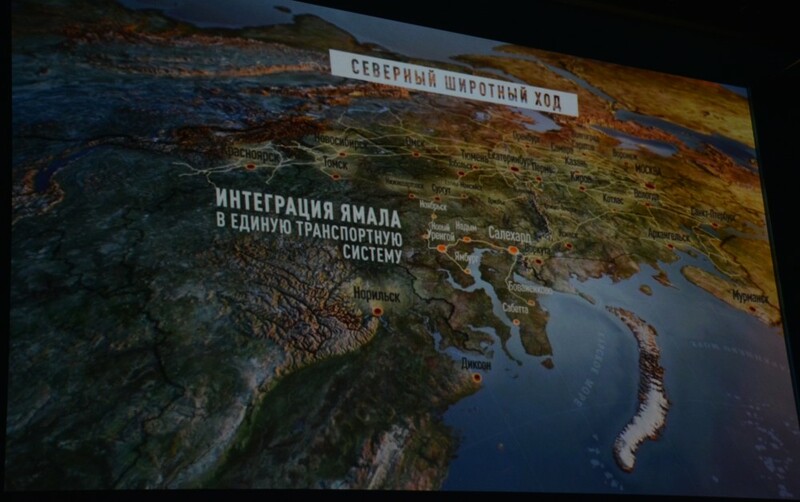 The Northern Latitudinal Passage includes a new railway connection between Novy Urengoy, the powerful gas hub, and regional capital Salekhard. In addition comes an extension of the Bovanenkovo railway to Sabetta, the new port on the Yamal coast. The railway project will open a new major infrastructure connection to Russian Arctic waters, Nenets-Yamal authorities say. Speaking in the recent Arctic Circle conference in Iceland, Governor Kobylkin underlined that the Ural region and the Western Siberia will be connected with the Northern Sea Route and that regional hydrocarbons will get a new route to the markets. «The distance from Sabetta to Paris is the same as to Beijing», he underlined, thus making clear that oil and gas can be shipped eastwards to Asian buyers along the Northern Sea Route. «We have taken a step towards our goal», Russian Railways President Oleg Belozerov says in a press release posted on the website of the regional government. «Soon we will follow up with a meeting where we will outline concrete further steps and formulate a progress plan». The Northern Latitudinal Passage includes the construction of bridges across the rivers of Nadym and Ob, as well as the construction of the 170 km long Bovanenkovo-Sabetta railway. When finished, the new line would enable you to take the train from Arkhangelsk and proceed through Labitnangy, the current last stop on the line, across the Ob Bay and all the way to Novy Urengoy and Surgut. The project was formerly called the “Ural Industrial – Ural Polar”. According to Governor Dmitry Kobylkin of the Nenets-Yamal Autonomous Okrug, only the bridge across the Ob River is estimated to cost 70 billion rubles. That is to be covered by the region itself.